Many drug addicts begin snorting Adderall because they believe it's an inexpensive and much easier way to feel a high that's similar to cocaine. While some of this may be true, it can also put you at greater risk for physical and mental problems. Adderal is prescribed as a treatment for Attention Deficit Hyperactivity Disorder (ADHD) and Attention Deficit Disorder (ADD). 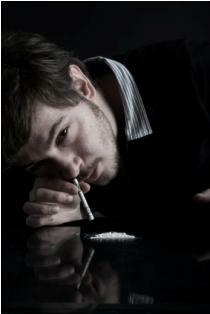 Snorting the drug, however, achieves a stronger and faster reaction. Snorting Adderall significantly increases its potency because the drug enters the bloodstream rapidly in a much more concentrated amount. With long-term use, snorting Adderall can cause permanent damage because it changes brain wave activity. For adolescents, this can be detrimental because it can cause developmental delays and other problems. Since you're getting a higher potency of the drug when you snort it, you are more likely to experience stronger withdrawal effects. These effects can make it difficult to stop taking the drug, which is why many addicts find it difficult to enter into recovery. The following are some of the withdrawal effects someone who is snorting Adderall experiences. Many people believe that since prescription drugs are controlled by a doctor, anyone can take them without legal repercussions. This is not true. If you're caught with a prescription drug that belongs to someone else, you will be subject to prosecution. If you are selling the drug, you can also be convicted of trafficking. As you can see, if you believe that abusing Adderall is a safer and cheaper way to get the high you would with cocaine, you are mistaken. Not only are you putting yourself at risk for deadly and permanent side effects, but you can also go to prison. If you've tried to stop snorting Adderall without success, it's because you are addicted. Recovering from drug addiction is a difficult process that takes a lot of strength, support and monitoring. The best thing you can do for yourself is to look into drug addiction treatment centers in your area. Speak to a trusted individual about your problem, and get the help you need before it's too late.